Providing you the best range of air scrubbers, ventilation system, ozone monitoring equipment, air cleaner, biological safety cabinets and safety cabinets with effective & timely delivery. 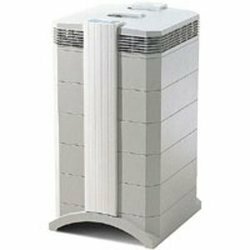 We are the leading supplier and trader of all kind of Air Purification Systems. The professional choice for mold abatement, disaster restoration, construction and repair projects. 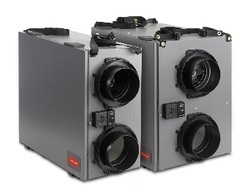 Each one of these user-friendly upright units are engineered to operate 24/7 in the following configurations Negative pressure mode with the PAS located inside of the containment zone The PAS pulls in contaminated air, filters out contaminants and propels the filtered air outside the containment zone through flexible ducting to negatively pressurize the work area. 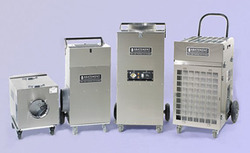 Abatement HEPA-A IRE Portable Air Scrubbers (PAS) is the number one choice of professional contractors for capturing and controlling mold, hazardous airborne containment and odors. Our PAS units provide true 99.97% HEPA filtration and negative pressure controls in a lightweight, portable configuration that is easy to move to virtually any job site. Public anxiety over health problems and property destruction caused by mold is at an all time high. Increased media coverage, coupled with large court damages and new government regulations, have made mold the highest profile Indoor Air Quality (IAQ) issue--and mold remediation the fastest growing IAQ service!. The Model 202 has been designated by the EPA as a Federal Equivalent Method (FEM): EQOA-0410-190. External air pump for long pump life. Note: above data subject to change without advance notice for product improvement. 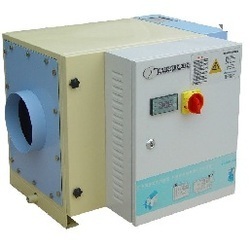 We are the leading supplier and trader of laminar air flow.Laminar flow principle involves double filteration of air through coarse Pre-filters (upto 5 microns) and HEPA filters (down to 0.3 microns) for filteration of Biological & Particulate contaminants. A constant uni-directional air flows either Horizontally or Vertically, is drawn from atmosphere and passed through pre and Hepa filters on to the work surface. Fabricated out of reinforced pest and weather resistant Duro-board which is clad in from outside in laminated sheet and inner exposed areas are finished in Epoxy paint. Table top stainless steel sheet. Side panels are fixed and made of clear plexiglass. Front door is folding & made of clear plexiglass. Prefilters : DOP tested as per Standard BS:2831 with efficiency 90% down to 5 microns. Made of Washable synthetic material. 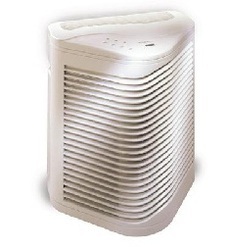 Hepa Filters : Made of Microglass fibre with corrugated aluminium foil separators. DOP tested as per Standard US fed. 209B. Efficiency 99.97% down to 0.3 microns. 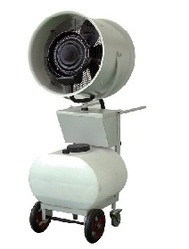 Blower Units : Assembly of AU or equivalent motor workable on 220 V AC 50 Hz single phase, dynamically balanced blowers making the unit least vibrant with minimum noise level. Lighting : Fluorescent tube lights. Sterilization : Germicidal Ultra Violet (UV) tube. manometer : Static pressure thick Acrylic block type. Spares like Hepa Filters & Pre-filters are also available. K-System : The K-System encomposses the specialist requirement of ocyte, and embryo handling during ivf/Gift procedures in both animal and human reproduction. 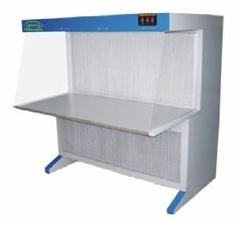 The K-system is often built into a Laminar Flow Cabinet. The utensils are warmed by the heating of part of the table plate of the cabinet. Ocytes stored in cabinet untill insemination. K-System : The K-System encomposses the specialist requirement of ocyte, sperm and embryo handling during ivf/Gift procedures in both animal and human reproduction. The K-system is often built into a Laminar Flow Cabinet. The utensils are warmed by the heating of part of the table plate of the cabinet. 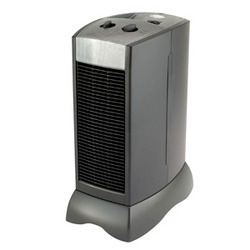 we are the leading supplier and trader of all kind of room air purifires for institutions and labs to remove odor air. 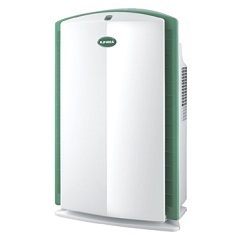 We are the leading supplier and trader of all kind of Air Purification Systems. Air Pollution Control Equipment For Aerosols And Liquid Particles Elimination is equipped with ESP (electrostatic precipitator) air filter to clean 99% machine tool oil mist, aerosol spray, fume & particulate pollution. The Air Pollution Control Equipment For Aerosols And Liquid Particles Elimination dedicated and nice outlook. It can be installed above or near the CNC machine tool. It not only can filter the oil mist produced during the metal processing, but also can solve the workshop's oil fog pollution problem. Further more, it can collect and recycle the metal-cutting oil and cooling oil. Incomparable disposal efficiency: At rated air volume, the oil mist elimination efficiency is 99% or more, thus can discharges directly in the workshop. Safe and stable: The equipment has perfect electric protection function and automatic detection and malfunction diagnosis function. Easy to operate and maintain: When maintaining, what needed to be done is just to open the access door and take out the electric field to soak and wash.
Delicate and nice outlook, easy installation. Pollution source can be treated by single machine or be treated in concentrated handling mode according to the site condition. 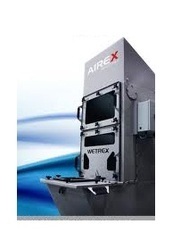 We are the leading supplier and trader of all kind of air pollution control equipments. Our Pollution Control Devices is applicable in diverse industries to control pollution for the safeguard of the local environment. We designed the range as per the industry standard and test on well defined quality parameters to ensure its quality and efficiency. It helps in taking care of air intake & out-throws and thus, reduces pollution. Pulse Operation with higher range upto 1:255 for improving precipitation and/or for energy saving, dust resistively etc. Advanced Man / Machine communication through keyboard and LCD. Display of KV (mean), mA (mean) and KV (P) values. User friendly operator interface with communication in a message from and in engineering units. Watchdog timer for software and hardware faults. We are the leading supplier and trader of air ventilation system from .our ventilation system offers a variety of energy-efficient Whole-House Ventilation System solutions for both new construction and retrofit applications. From Heat and Energy Recovery Ventilation to Fresh Air Supply Ventilation - meet all of your ventilation needs. Simplified balancing without adjusting dampers. 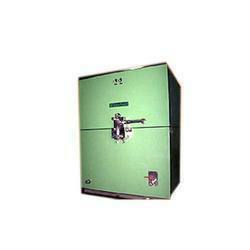 We are the leading supplier and trader of all kind of pollution checking machines. 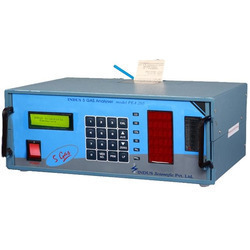 We have also designed pollution checking machines which include digital exhaust gas analyzer and digital exhaust gas meter that can easily check the pollution level of various automobiles. This pollution checking machine is easy to install & function efficiently. 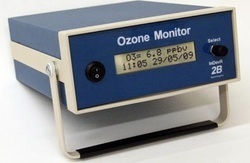 This pollution checking machine also minimizes the amount of harmful carbon mono oxide emitted by the automobiles. We offer digital exhaust gas analyzer and digital exhaust gas meter in pollution checking machines. We manufacture and export a wide range of digital exhaust gas analyzers, that specifically designed for the automobile industry. Designed using latest technology, these analyzers can easily check the pollution level of various automobiles. Elegant and smart in appearance, our analyzers are easy to install and known for their efficient functioning. Further, our range is tested on various parameters in order to meet the set industrial standards. Response Time : < 10 Sec. We are the leading supplier and trader of advanced range of recovery systems for solvent base cleaners that is used for on-site recycling. Generally these are used in industries where 100 liters of solvent waste is generated per day. These cleaners use several separation technologies for on-site recycling of contaminated solvents like gravity separation, filtration, bath distillation, fractional distillation, evaporation. Provided with effective chilling unit, storage tank (optional), air tight lid cover, filter unit (optional) at input and level indicator. Air Cleaner (KJF350B)Place of Origin: China Features:1) Stainless steel electrostatic adsorption tube, easy to clean2) Easy to use control panel and remote control3) Dual filtration: pre-filter and actived carbon filter. 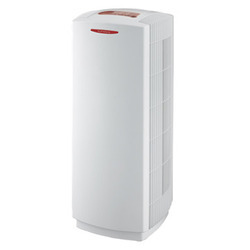 Purify air using high voltage electrostatic absorptive method4) Easy dismantling design and easy to clean and replace the filtration system5) Simple but high efficiency and extra quiet operation6) Working space: 20 - 30m²Technical reference data:1) Model: KJF350/A2) Rated voltage: 220 - 240V, 50Hz; 110V, 60Hz3) Rated power: 55W4) Airflow volume: 350m³/h5) Noise level:Note: above data subject to change without advance notice for product improvement.Packing:1pc/carton Master carton dimensions (L x W x H): 380 x 380 x 830mmN.W. : 9kgG.W. : 11kgConveyance:Qty/20` FCL: 252pcsQty/40` FCL: 504pcsQty/40` HQ: 588pcs. 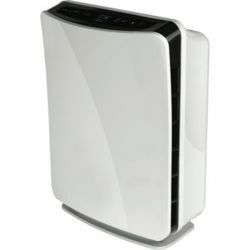 This Air Purifiier includes the permanent filter and is ideal for rooms up to 80 square feet. Looking for Pollution Control Equipment ?